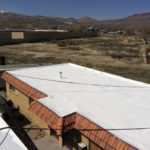 We can customize our roof’s design to each building. 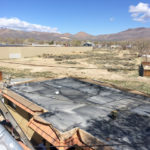 This roof had poor drainage resulting in ponding between the roof drains. Triangular “crickets” are installed first to help direct water toward the drains. 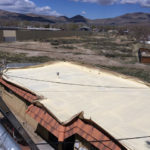 Then all of the roof penetrations receive up to 3″ of foam, this adds significant structural support and prevents leaks where they are most likely to occur. 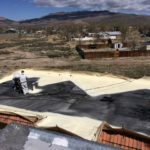 Spray foam is both and insulator and a waterproofer. 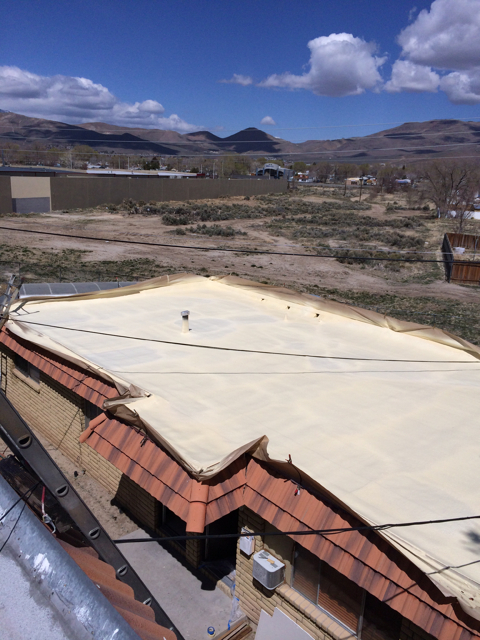 The high density foam is applied to a desired thickness over the field of the whole roof. 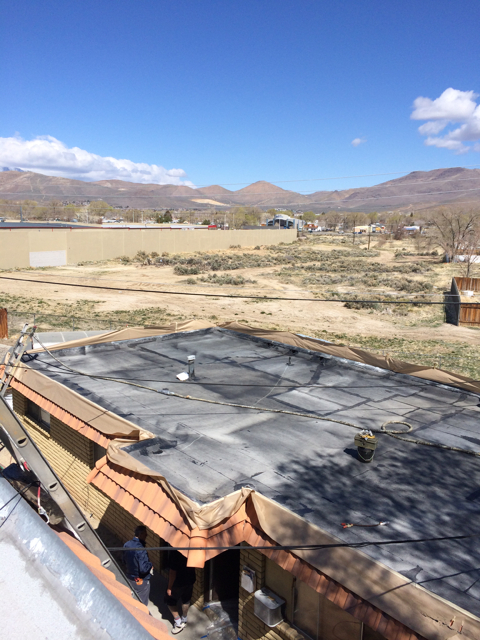 Typically 1″ thickness is used, however thicker layers can be installed for more insulation. 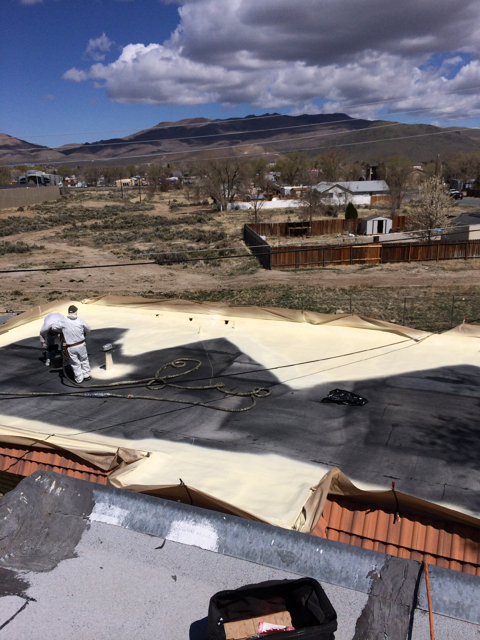 Spray foam is waterproof, but it looses this property if it exposed to UV damage over long periods. 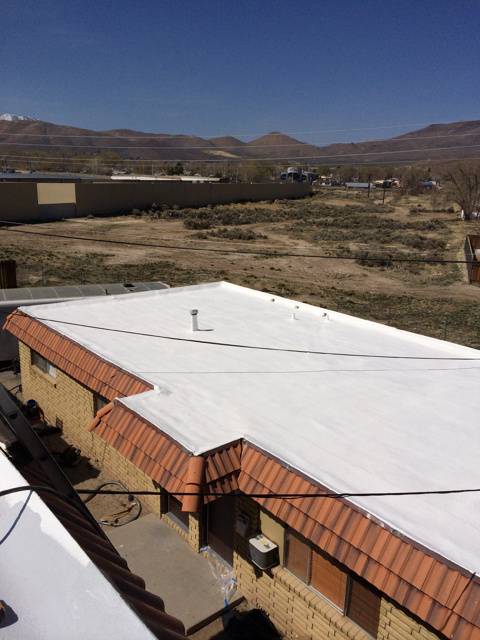 Elastomeric coatings provide this protection. The initial thickness of the coatings determine the initial warranty, which can be renewed with subsequent re-coats of the top layer of coating.